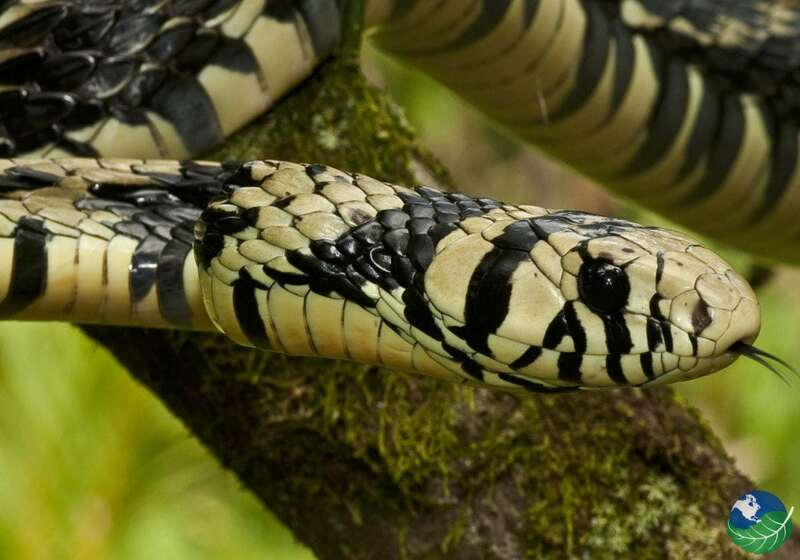 There are a wide variety of snakes in Costa Rica with over 130 or more species found here. We have put a list together of the most common snake species to be found from the Fer De Lance or Terciopelo to the Boa Constrictor. 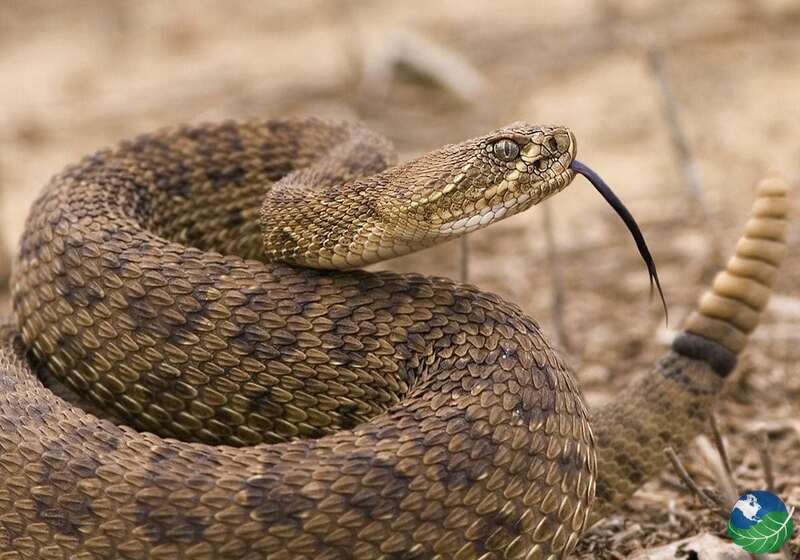 We have classified them in two ways to keep it simple: venomous and also non-venomous. Before you go off into the deep rainforest, it is good to educate yourself a little bit on wildlife behavior. Firstly, know when to go. 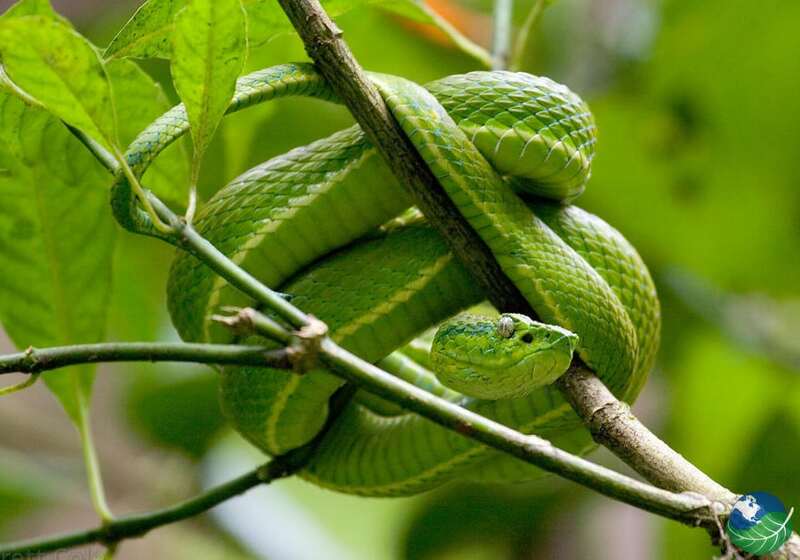 During the wet season, you are more likely to encounter snakes in Costa Rica. So before going at it alone, it is a much better idea to go hiking with a licensed guide. Snake sightings do tend to be rare and being bitten is even more so, but you can never be too safe. Visiting an animal reserve is the best way to quietly observe a snake while avoiding a possible nasty situation. There are several throughout the country. For example, at La Paz Waterfall Gardens, there is the Serpentaria. It contains all the snakes you see on this page and more. Also, you may want to go to the Jaguar Reserve on the Caribbean side in Cahuita. They have a small number of snakes but equally amazing with many more animals to see, including sloths. 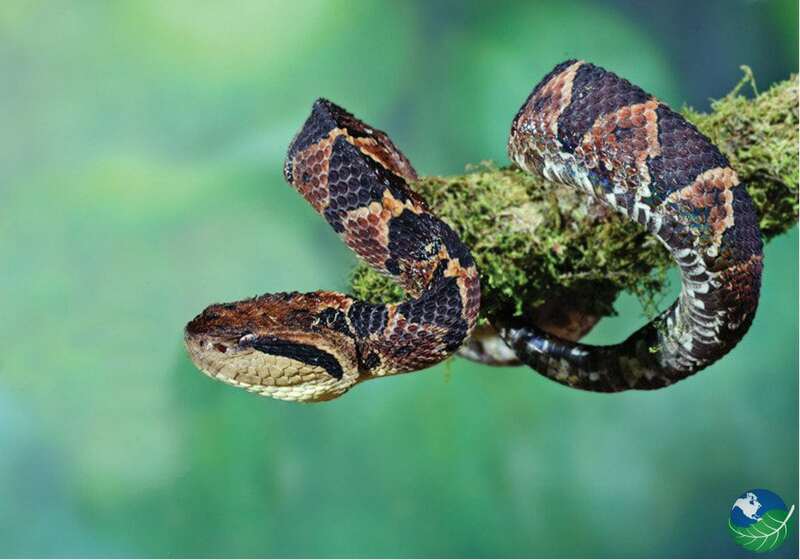 Fer De Lance (also known as Terciopelo) is by far the most common and most dangerous snake in Costa Rica. 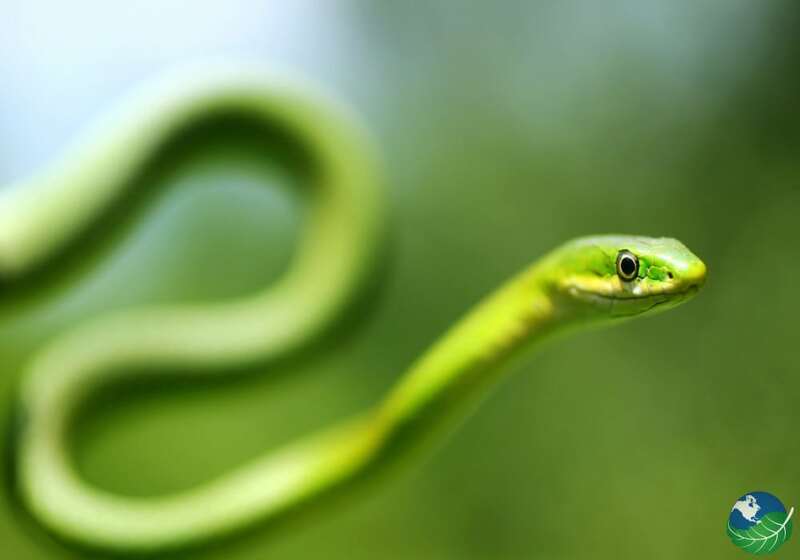 The growth rate is exponential with up to 90 snakes being produced per litter and the snake is known for its aggression. Because of this, it is the most lethal snake in Costa Rica. 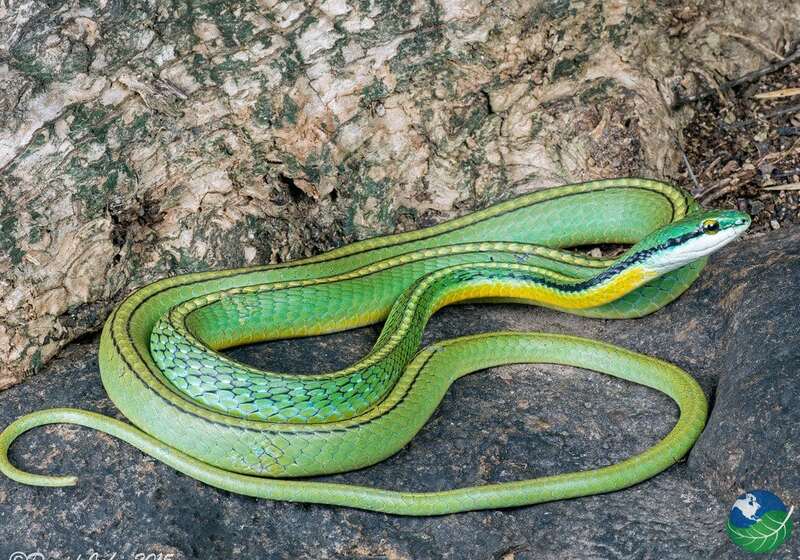 The Green Vine Snake or Bejuquilla verde is very slender and reaches lengths of up to two meters. Being smaller ,it eats mainly small animals like mice. To immobilize the prey, it uses toxic saliva from teeth near the back of its mouth. 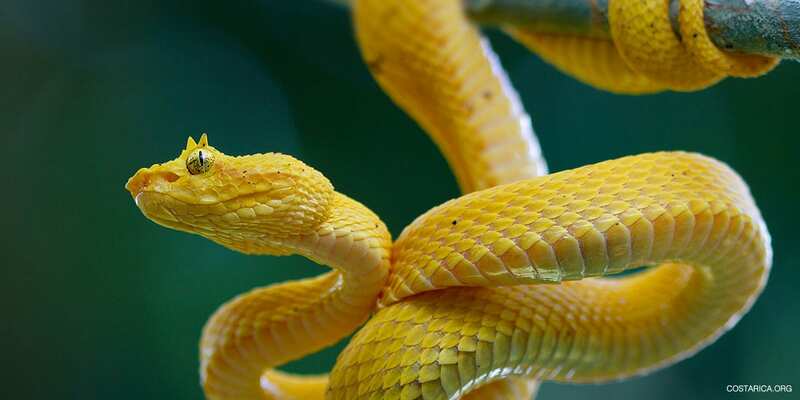 The Bird Snake or Pajareraor, also sometimes known as the twig snake, has surprising strong venom. Getting bitten is pretty rare and effects happen slowly. Bird Snakes conceal themselves in trees, hiding until the perfect moment to strike. 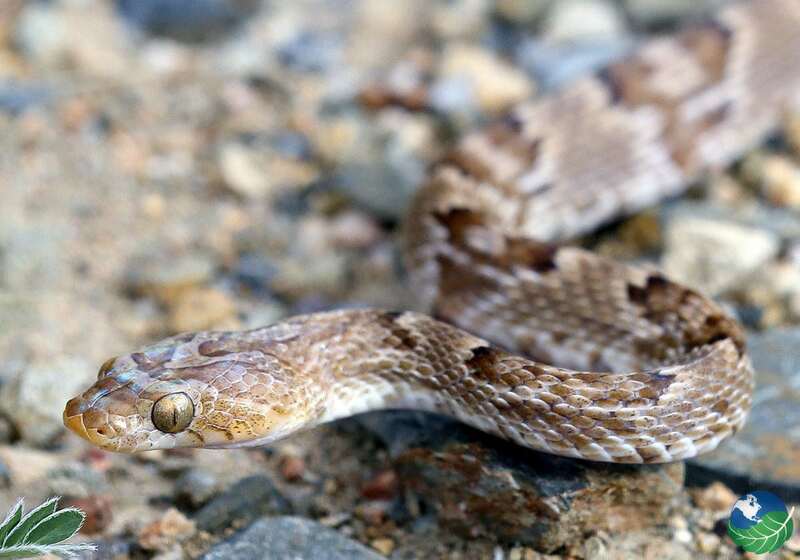 Lyre Snakes or Toboba gata have a distinct V shape pattern on their head. 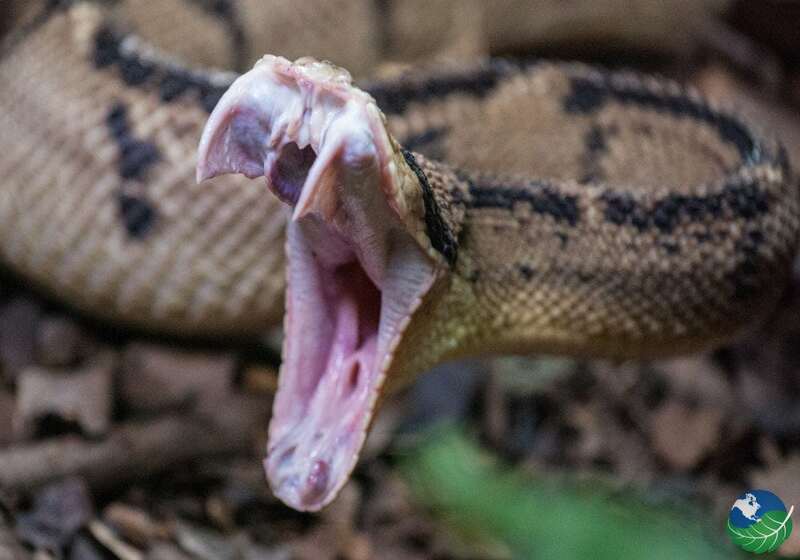 Another distinctive part of lyre snake is its teeth. They have 3 different types of teeth including recurved fronts smaller middle ones and of course the fangs. 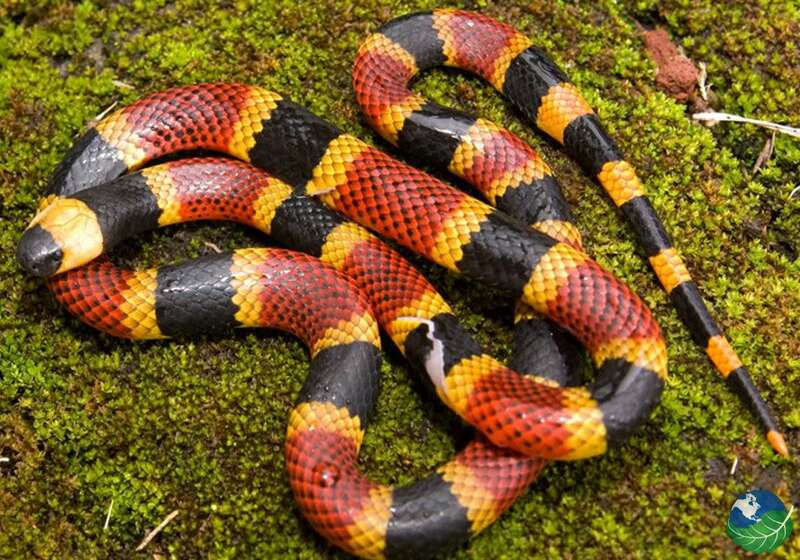 Coral Snake or Coral Costarricense are also very well known. The coral is very deadly and can be recognized by the yellow ring on either side of the black ring. As the name suggests, the jumping pit viper lunges at its victims. Also, known as the Mano de piedra Costarricense in Spanish. It will reach out full body length to try and inject you with the unpleasant surprise it holds in the fangs. The longest on record was 120 centimeters. The side-striped Pit Viper or Lora venenosa is a master of camouflage with a brilliant leaf green color and are found mainly in the mountainous rainforests of Costa Rica. As suggested by the name, they have a yellow-white colored stripe down the side. 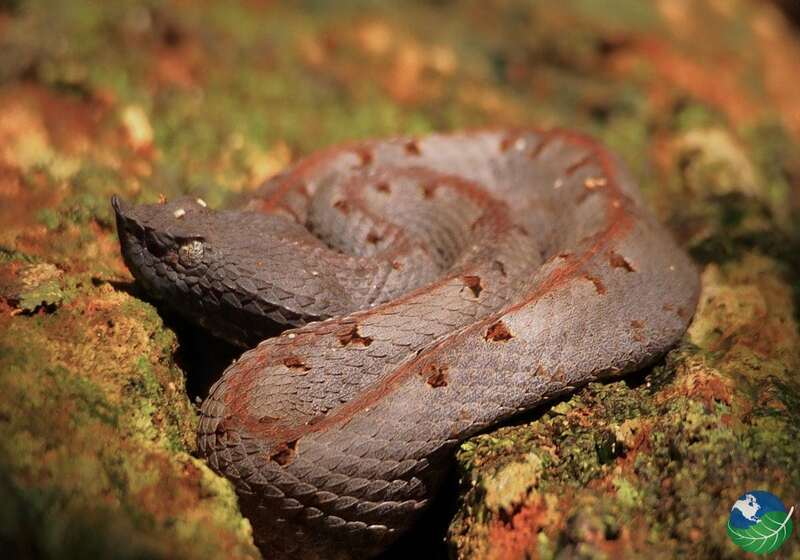 The Eye Lash Viper or (Bocaraca Comun) is rather small but very interesting. The part that makes them unique, is the Scalley protrusions above their eyes that resemble eyelashes. Don’t take too close of a look though because it will attack if harassed. The Godman’s Montane Viper or Toboba de altura is great at hiding in the grass and bushes with its dark scale designs. It is found in the mountainous areas of Costa Rica but also spans out to other countries like Nicaragua and Panama. Everyone knows this snake. Either you have seen one in person or on your favorite nature show. The most distinct part is the warnings it gives you with a rattle of its tale. So, at the very least they will give you fair warning before striking. Also, known as the Cascabel neotropical in Spanish. Bushmasters or Matabuey are the largest type of viper in the world. The biggest was recorded at 4 meters in length although they commonly grow only to 2-3 meters. 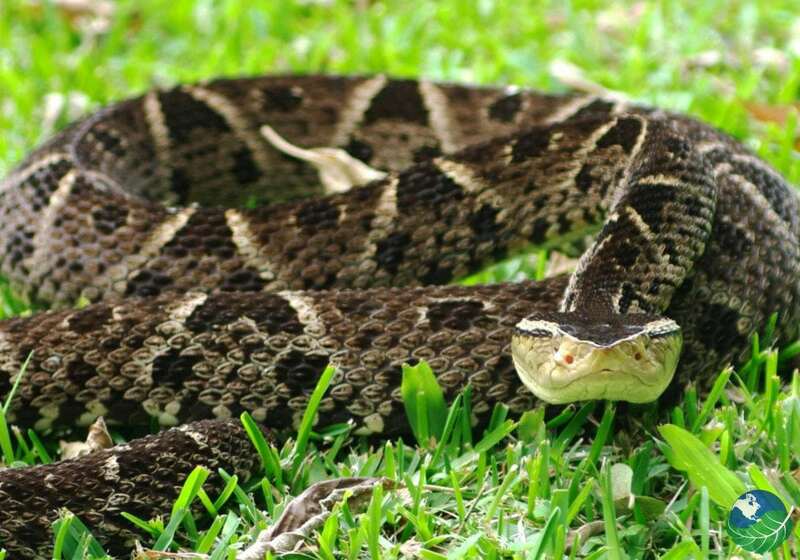 Similar to rattlesnakes, they have a spiny end to their tale that vibrates when threatened, leading to the name the mute rattler. 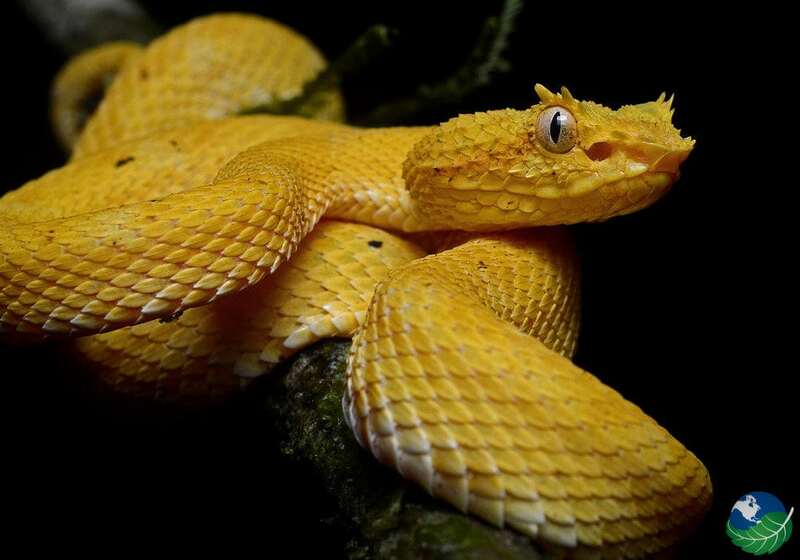 Also venomous is the Hognosed Pit Viper or Tamaga Comun. 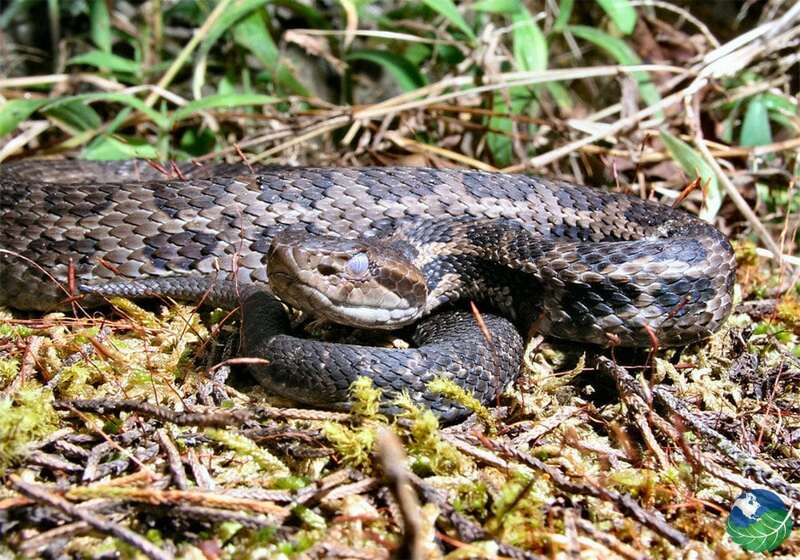 You will notice the hognose that this snake has resembling that of a pig. But don’t laugh for too long as it does carry an unwanted present for you if bitten. 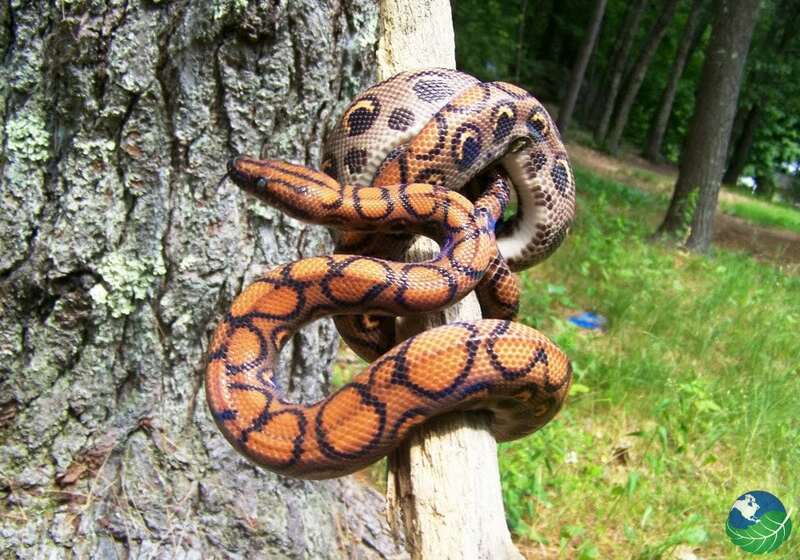 The Rainbow Boa (Boa Arcoiris) is smaller than the Constrictor but also more colorful and more beautiful. They come in many different colors and are a favorite among pet owners. This little guy loves to feed on small lizards and bugs. They happen to be extremely slender but can be long. Ranging up to 1.5 meters in length. 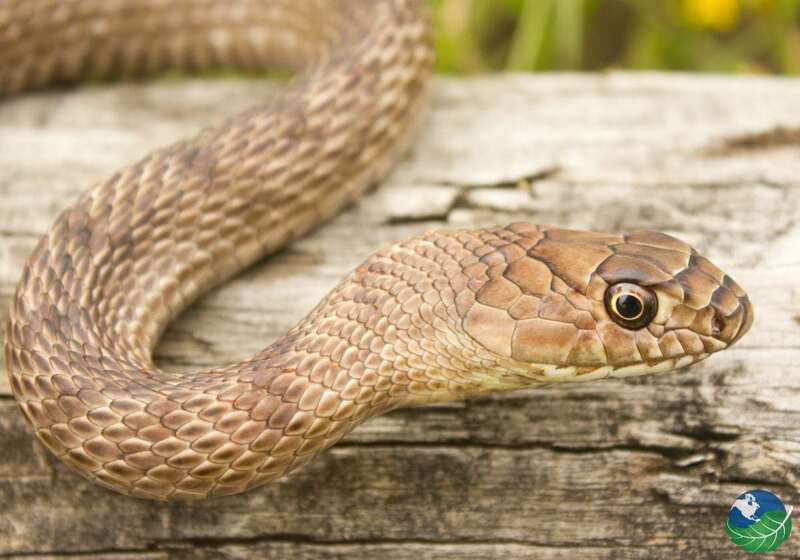 They are mildly venomous but not enough to affect humans or be classified as venomous. Also, known as the Lora falsa gigante in Spanish. The Coachwhip or Sabanera de bosque seco is very good at adapting its color to its surroundings. They do this to hide from others and they do it well. It will reach sizes not much more than a meter in length. 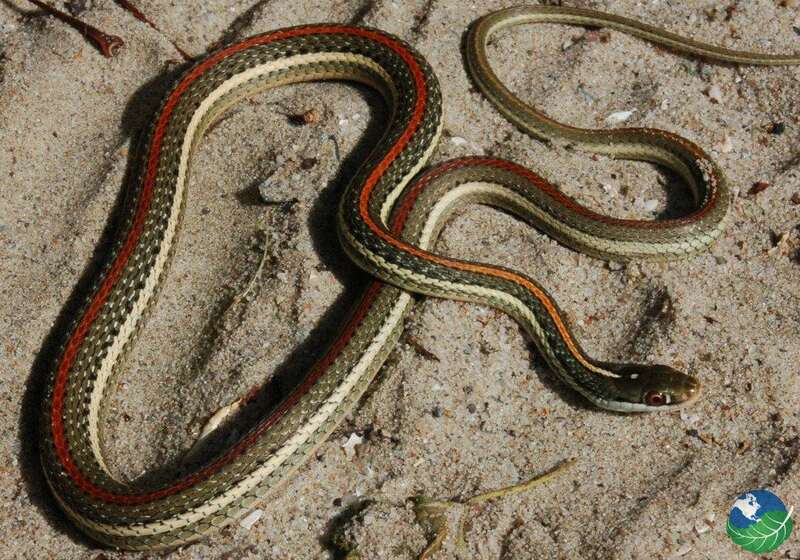 The Common Garter snake or Guarda camino comun is found all over the Americas including Costa Rica. They range in all sorts of colors and don’t get much bigger than a meter. Their bite is non-venomous and they love to eat small lizards and insects. 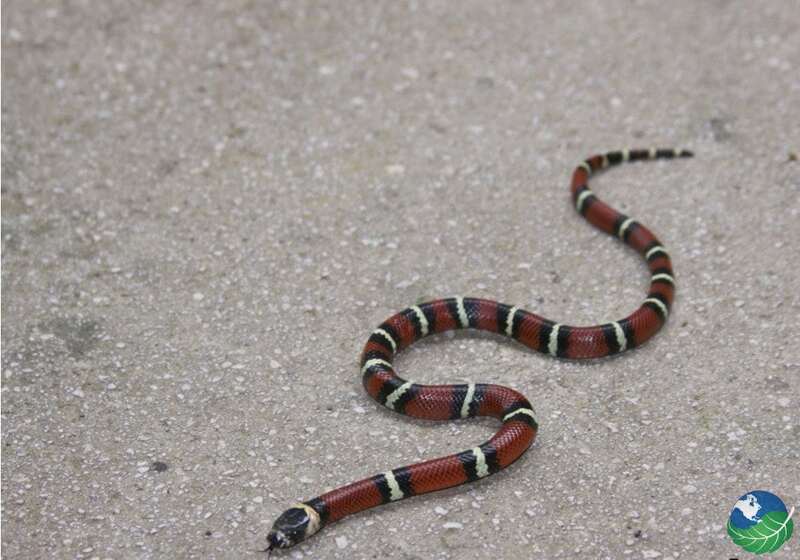 The king snake or Coral falsa not to be mistaken for the coral snake. 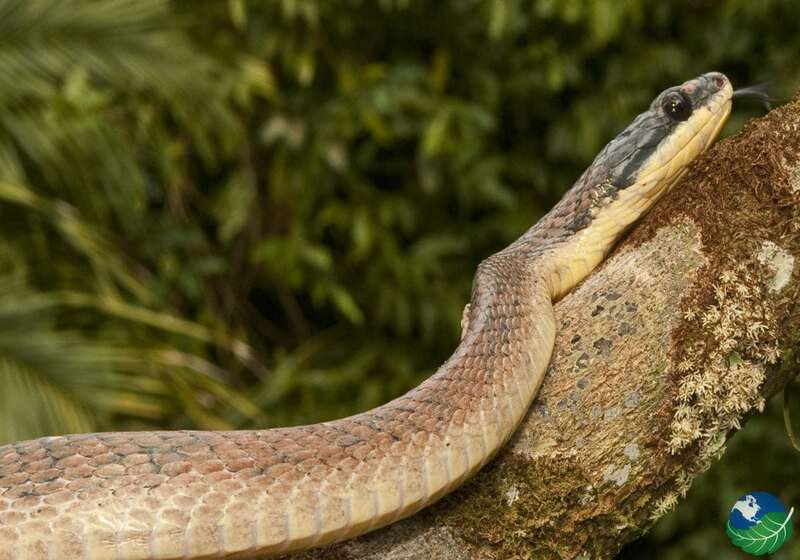 They are truly the king of snakes in Costa Rica as they will eat other snakes, even the venomous ones. It isn’t affected by venom and will kill its prey by strangulation. 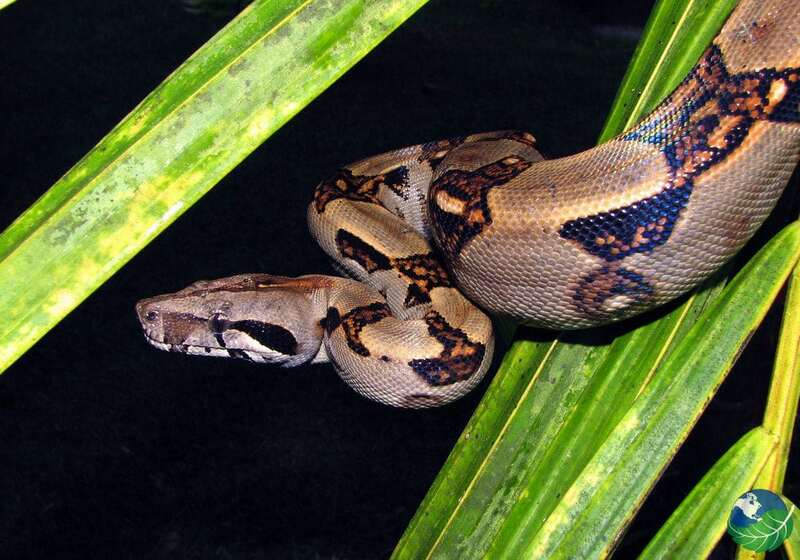 They have over twice as much constriction strength as other snakes. 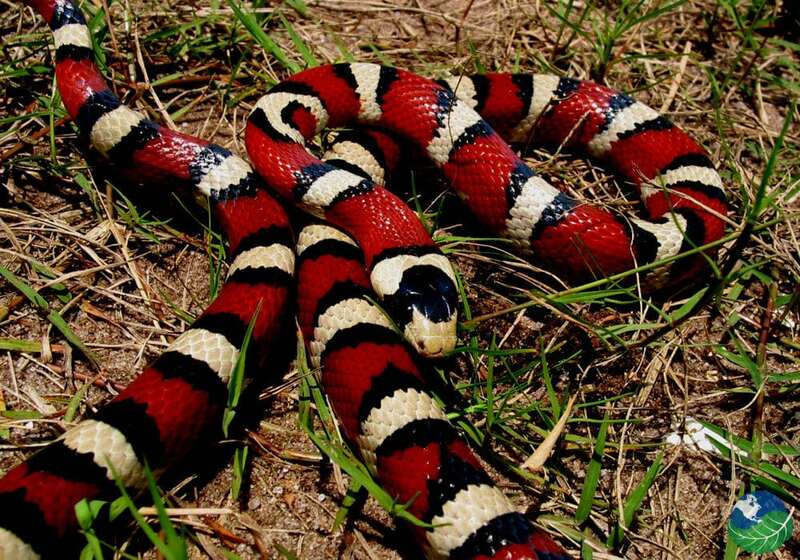 The Tropical Milk Snake also resembling the Coral. This color helps to protect it from predators that may be confused by its coloring. It resides in most parts of Central America and reaches up to 1.5 meters in length. Also, known as Serpiente de leche negra in Spanish. The Salmon Bellied Racer or Corredora panza salmon is very distinguishable by its belly being a bright salmon or pink color. 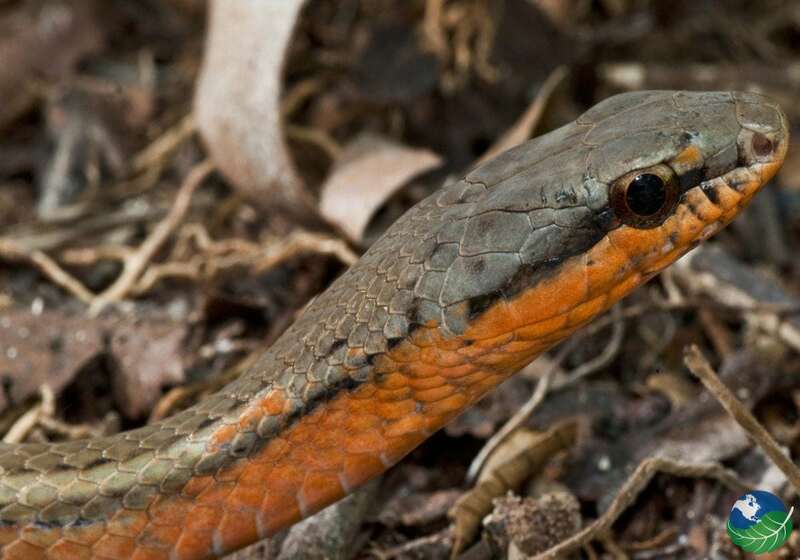 Although, younger snakes have a much darker colors to protect themselves from predator until fully developed. The Rat Snake or Ratonera centroamericana contains such a small size of venom that it isn’t worth being classified as venomous. But don’t be mistaken, they can still be dangerous and can reach size up to 3 meters in length. Snakes may be feared by most people but without them, the animals kingdom wouldn’t be complete. Learn more about the wildlife in Costa Rica by downloading our free Nature Guide.